My sympathy is with the young man who was attacked by the left wing Satanists. Whether his counterattack was in self-defense – the Marxists were throwing bricks – or whether the young man was launching a punitive strike against the liberals – they have been killing whites through their colored henchmen for over fifty years – the attack was completely justified. It is regrettable that he only killed one of the liberal protestors. And it is tragic that he will be prosecuted for murder, when he should be awarded a medal for courage under fire. As for the police officers? It is regrettable that they chose to serve the Satanic government of the United States of America instead of their own people. They are to blame for their own deaths, not the white nationalist protestors. What do we make of the white “Christian” clergymen who vehemently denounced the white nationalist protestors? We should call them what they are – they are Judases, one and all. What are they defending? 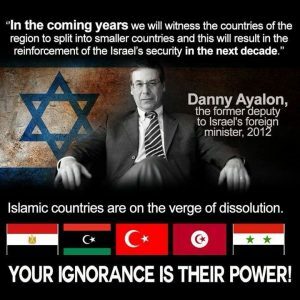 They are defending the incarnation of Satan within the heart of what was formerly Christian Europe. There are no words harsh enough to describe them. No atrocities committed against whites are ever condemned; they treat the perpetrators of the atrocities with “loving forgiveness.” But there cannot be and there must not be any mercy extended to the whites who try to defend themselves against the liberal/colored barbarian onslaught. “Your children, your wives, and your people all must be sacrificed to the great gods of color.” So say our Judeo-Pagan clergymen. Do such creatures really speak for Christ? No, they do not. They speak for Satan. When the alternative right first emerged on the Internet, I read a number of their writings and was saddened by the content. I was saddened because they were not attacking Liberaldom in the name of Christ, they were attacking Liberaldom in the name of paganism, which placed them solidly within the confines of liberalism. They opposed the new-age liberals as Hitler opposed communism – they were the nationalist lefties vs. the universalist lefties. Their movement must turn toward Christ if it is to have any hope of surviving and thriving. There is no sustaining faith in a mere reaction to the insolent, hate-filled system of the liberals. We need to see the Cross of Christ over Europe once again, not the various banners of the white pagans. There you have it. When will this terrible separation between the neo-pagan and his Christian ancestors end? Never? Or will the alternative right convert at the last trump (no pun intended)? They, the alternative right, have some good instincts: they hate the mad-dog liberal branch of Liberaldom, but they also hate our people, the men and women of Christian Europe. Maybe if we, the European Christians, stay faithful to our Lord and our people, some members of the alternative right might find their true home with the Christ of old Europe. We have already, off this stage, established that there are no European conservatives; there are no Burkean conservatives who want to conserve the European people and their Christian civilization. The new conservatives are liberals. And their far-left cousins are the hard left, or if you prefer, the Marxists. The hard left have a tried and true battle plan that always defeats the milk-toast conservatives. Whenever they kill whites, they immediately blame the whites for bringing their own deaths upon themselves. “They were racist, therefore they deserved to die,” is the constant refrain of the hard left. 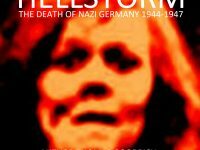 Whenever, which is very seldom, the whites fight back and kill a colored heathen or a member of the Jacobin hard left, the Jacobins demand the heads of the white defenders, apologies from every “conservative” white, and more draconian laws designed to speed up the destruction of the white race. They always get what they demand, because the conservative whites are not conservative; they believe in the same liberal gods as the hard left. Their differences with the hard left are procedural, not religious. The recent protests in Charlottesville highlighted the futility of white protest. When you protest, you must ask yourself to whom you are protesting. Are the powers that be likely to be receptive to your protest or are they going to use the protest to identify their enemies and take action against them? You know, or at least you should know by now, that liberal governments view any protest against their Jacobin governments as opportunities to crush their enemies. They videotape the protests and then either jail the protestors or find means to deprive them of their livelihood. (2) Does this mean that whites should give up? No, it means whites should change tactics. They should eschew public non-violent protests in preference for quiet, secretive, punitive raids. Peaceful protests are part of the democratic process. When the democratic process has become a totalitarian process, you can’t accomplish anything by protests. Witness the failure of the pro-life movement. Whites will not meet the Jacobin’s violence with a violence of their own, because they have allowed the hard left to set the terms of engagement. These are the terms: “You, the white man, must never preach or practice violence against the Jacobin elite, because we are the true liberals, we are the arbiters of what is right and what is wrong.” And even when the conservatives accept those terms — actually it is because the conservatives accept those terms — the hard left continues to destroy them by any means necessary. What we are witnessing in this assault, which well may be the final assault of the hard left against the white race, is the death of classical liberalism. The Tucker Carlsons and the Paul Joseph Watsons completely refute the hard left’s stances on every issue under the sun. But that does not make any difference to the lefties. They are not moved by reason. What will move them? Nothing. The young man with the truck is on the right track. The Jacobins will not be swayed by appeals to reason or appeals to charity. It should be done unto them as they are doing unto the white race. Dostoyevsky’s Underground Man knew the deficiency of classical liberalism. ‘Suppose you build your perfect world in a glass palace and I come along and smash it just because I want to smash it?’ Classical liberalism presupposes that we are all reasonable people who can sit around and reason out our problems. The classical liberal gives a nod to Christianity as a religion, but he downplays the ‘irrational’ message at the heart of Christianity. He, like the medieval scholastic who spawned rationalism, does not think reason is tainted with original sin. How could it be, when it can do such wonderful things? We need to turn to the Gospels, to St. Paul, Shakespeare, Dostoyevsky, and the European fairy tales as an antidote to classical liberalism. It is there that we find depth. We find God, the devil, and “unaccommodated man” struggling against all the forces of hell, armed only with his vision of the Man of Sorrows to sustain him. In most of the 20th century dystopian novels (Kipling’s story and Orwell’s novels excepted), the authors depict right-wing totalitarian governments that enslave mankind. But it was Kipling and Orwell who got it right. There has never, in the history of European man, been a crueler, all-encompassing, totalitarian control of mankind than the Jacobin’s control of the European people. Through the use of vast technological communication networks such as Google, the left has built a monopoly on thought. They exercise a mind-control more powerful than anything conceived by the fiction writers. With machine-like precision, the mills of Jacobin liberalism grind human souls into nothingness, and there seems to be no force on earth that can stop the great liberal machine. (1) The liberals have a great advantage over the Christian Europeans in that their master, who is Satan, proscribes no boundaries. He has no honor, and he encourages his subjects to spit on all honor codes that stem from Christian Europe. Thus the liberal will fight without honor and extend no mercy to his white victims. The Christian European must fight with that charity of honor, which is a practical disadvantage. But that disadvantage is offset by the passionate intensity that is gained by an adherence to His code of honor. (2) Many men have lost their jobs as a result of their participation in the Charlottesville protests. No protestor from the left lost his or her job. Only the white protestors lost their jobs. This is the same thing that happens in France, Germany, Britain, and every other European nation when whites try to seek redemption from the devil. 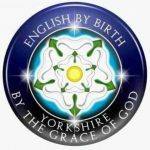 Paul English is a guest on the ANDREW CARRINGTON HITCHCOCK SHOW every Sunday at 10am EST, 3pm in the UK. 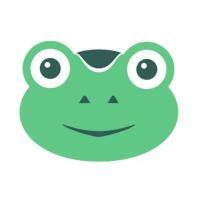 Click the frog to join Paul on GAB.